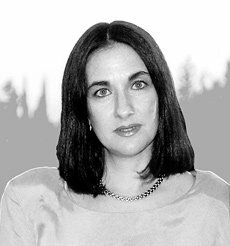 Vered Granit is an interior designer specializing in residential interiors. Vered studied Interior Design in the Technion and has a master’s degree in Geography, specialized in Environmental Management, Planning and Policy. Currently works at Jerusalem, Mevaseret Zion, Modi’in and Tel-aviv area. As an interior designer I believe that in order to plan and design a home that will fit to the customer needs, it is up to me to understand all the basic necessities, wishes and dreams of the residents. Careful consideration of the house’s location and living environment, while taking into account the allotted time and budget frame will provide the most suitable home for the clients. The working process is always conducted with the clients closely involved, in order to achieve the ideal solution for the house’s interior design and the clients satisfaction. To accomplish a pleasant living space that is comfortable, esthetic, fun to stay in and lastly most suitable for the housing environment.